By nature, I make decisions slowly. I like to research options and compare. While that works for big decisions, it wastes time for simpler matters. Through interaction with more efficient decision makers (various mentors including my father), and reading of great books (authors John Maxell, Dave Ramsey and Andy Andrews come to mind), I’m learning to make short work of simple decisions. The question forces all decisions into one of two categories, those that CAN be undone versus those that CAN’T. The first category allows for faster processing, because there’s a way back. Should we increase vineyard planting by 20% to keep up with demand? Should we increase pastured pork production by 20% to keep up with demand? The first question falls in the CAN’T category. If we plant 10 more acres of wine grapes, we have the privilege of farming them for a long time, whether we want to or not. For that reason, the decision requires a lot of consideration. The second question is a CAN question. Since we source piglets for our pastured pork from small family farms, and then raise them on our property, we can grow production with less risk. If we were to produce beyond the interest of our waiting list, we could take the excess to auction and recover the investment. Before reading Creating Magic, I would be tempted to agonize equally over both decisions. Now I can save some energy on one, and use it instead on the other. This post applies to marriage and work. Lets kill two birds with one stone! When Christian and I got married, I had a lot to learn about our personality differences. Hanging out with people all the time sounded good to me, but he preferred to stay home. He kept a grocery list and I just bought whatever I felt like when I got to the store, that is, if I remembered to go to the store. Different doesn’t mean wrong, and work relationships turn out to be the same. There are certain tasks at work that are just loathsome for me to do. I, for one, don’t enjoy accounting. I would also rather work in groups than by myself. But there are others that love the details and would really prefer for their office door to be shut. These personality differences make a company complete. No one wins if the sales team rocks at selling, but all the goods are priced incorrectly. So, I’m trying to harness the strong parts of my personality so I can enjoy my work and be successful. And I need to surround myself with people who are good with details and vision. If you’re not sure what your strengths are, you might consider taking a personality test. My favorite is the DISC test that Dave Ramsey uses. This test helps you understand your positive attributes. 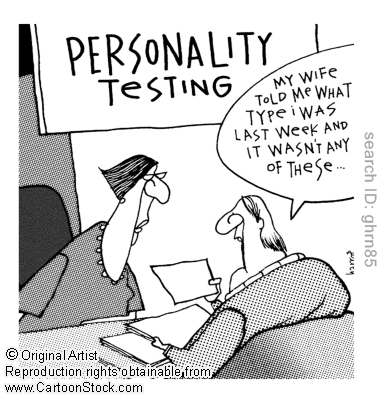 Oh, and taking a personality test helps at home too. For example, after taking the DISC test Christian and I found out that we are opposites in every way. I have myself a guy who is awesome with vision and details. Our differences really do provide balance in our marriage, and make for some lively debates. 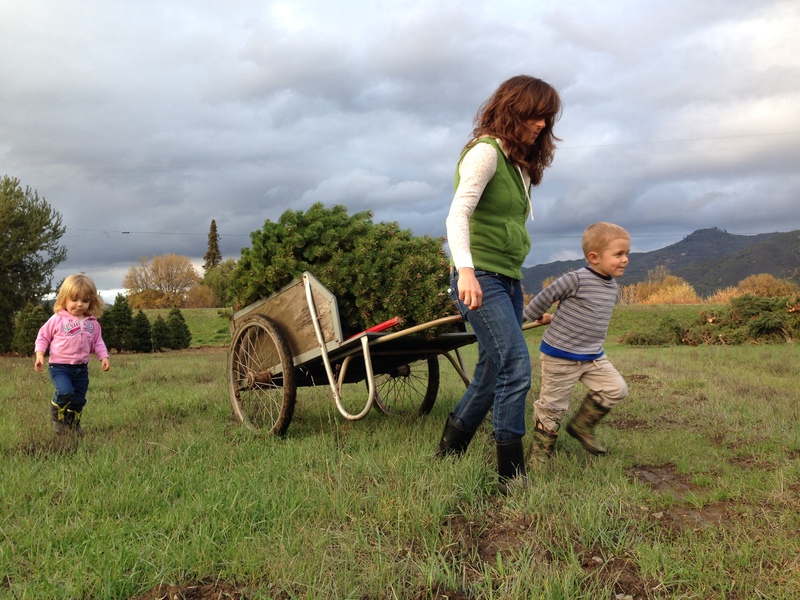 This year, Rachel and I took the kids to a Christmas tree farm. I wasn’t familiar with the local options, so I turned to Facebook for recommendations. After a half dozen responses, several friends pointed to the same establishment, and we went on our way to cut a tree. From the viewpoint of a small business owner, that’s a significant story. Why did we choose that specific Christmas tree farm? It was purely based on recommendations from friends. I had never heard of the place, or seen any advertisements for it. But I trusted that it was a good choice, and wasn’t disappointed. Now, why did several people recommend the same place? It seems simplistic to say it, but it must be because they themselves were happy with the experience. And they were confident enough in the establishment to recommend it. Figure out how your products (experience) impact your customers (the good and the bad), and make them better. Once your brand clicks with your guests, it will spread like wildfire.